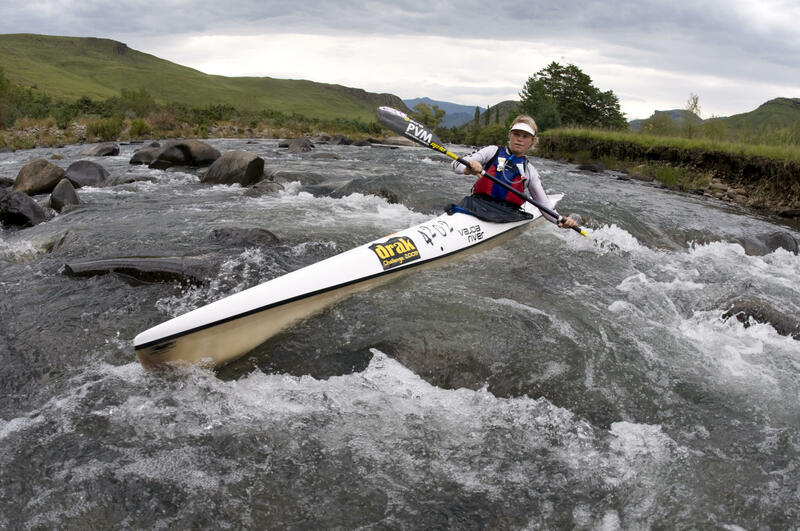 Underberg – The country’s most talented all-round female paddler, Mich�le Eray, has set her sights on the SA K1 river championships as she plots the defence of the Global Trader Drakensberg Challenge title. 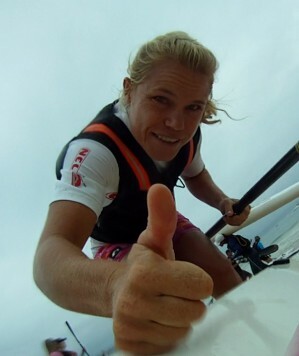 The tenacious Olympian who is the world’s premier surfski paddler in addition to her stunning track record as a flatwater sprinter, outclassed a strong women’s field during last year’s race to win it on debut, and is eager to return to the Umzimkulu river to defend her title. “I am not going to miss this race for anything,” enthused the 30 year old Plettenberg Bay raised ace, who is now assisting the Eastern Cape Canoe Union as their elite sprint squad coach. “I had such an awesome time last year that I had no hesitation in committing to defending my title. Eray won a testing 2009 race that saw the first stage run in technical low water, while the second stage was raced on a full river following heavy overnight thunderstorms. Eray was locked in a three way tussle for the title with Robyn Kime and Carol Joyce, and was the only one of the three to stay in her kayak through the final stage. What made her victory even more remarkable was the fact that she has just undergone major surgery to repair damage to tendons in her elbow, and by her own admission she was not fully fit. Despite this, she managed to break Alexa’s Coles second stage record, racing largely alone and having had very little time to recce the course beforehand. In the wake of her successful Olympic campaign Eray has gone on to focus heavily on flatwater marathon and surfski events, where she has dominated every international event she has entered. She was denied an overall victory in the fledgling Surfski World Series rankings after the series rules shifted, altering the status of some of the events she had prioritised. However this has fired up the tough Eastern Cape star to focus on winning the new ISPA surfski world series. Good luck for Drak – hope you can defend your title!